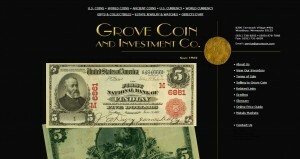 Grove Coin & Investment Co address, phone, website, hours of operation, and more. 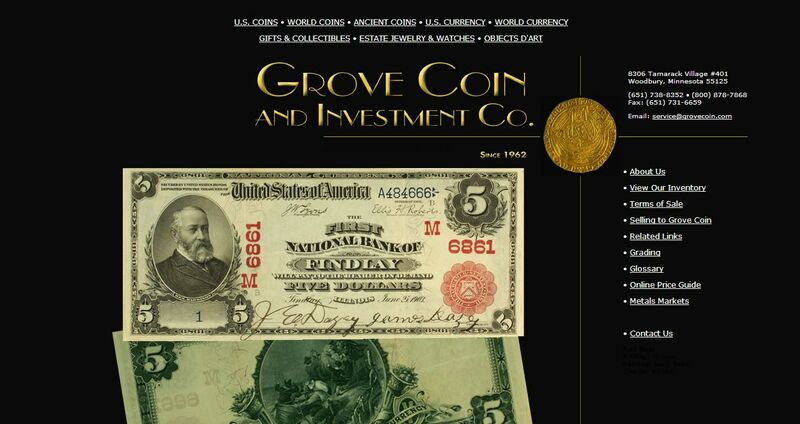 Grove Coin & Investment Co is active in many facets of numismatics and precious metals including retail, wholesale, and major coin shows in addition to on-line business. Our inventory is one of the most extensive and diversified in the Upper Midwest, ranging from basic U.S. copper, silver & gold to general foreign, ancient Greek & Roman, tokens and medals. We specialize in semi-key and key-date material and have a nice selection of many 19th and 20th century rarities. We pride ourselves on our reputation for fair dealings, competative pricing and conservative grading.